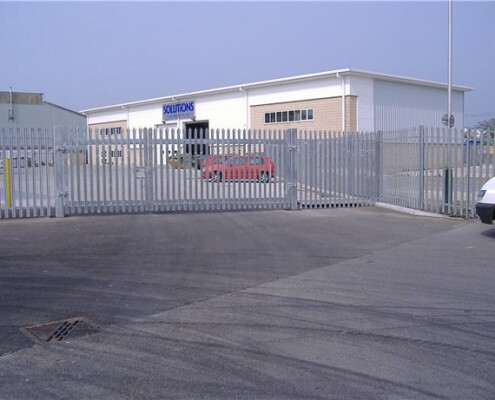 These secure metal palisade gates & fence were erected at an industrial park in Rochester, West Kent. 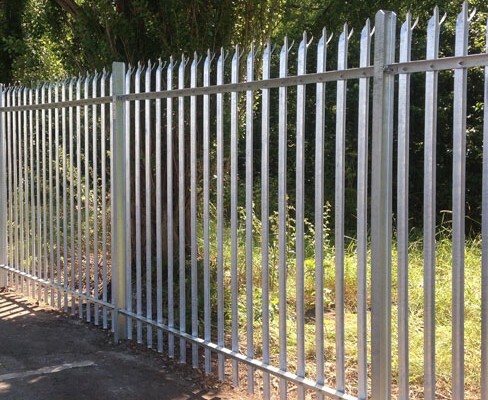 This particular metal fencing usually has RSJ posts with palisades being ‘D’ or ‘W’ section, fitted to angle iron rails. Tops can be splayed, pointed or rounded. 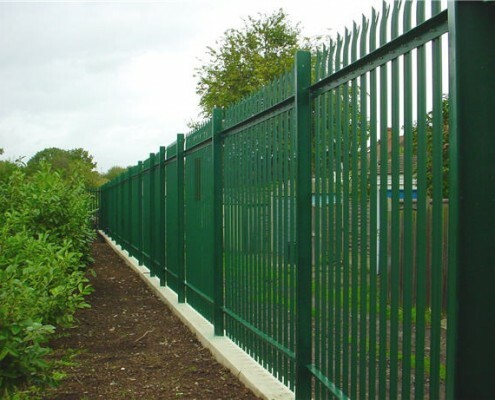 For further styles and examples of steel palisade see the Metal Fencing sections.